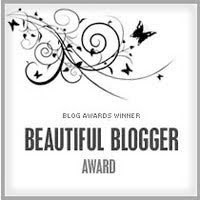 Surprised but delighted to receive a Beautiful Blog award from the fabulous online retailer and style blogger Table Tonic over the weekend. The last time I received an award was back in 1979 when in Kindergarten I was awarded a merit certificate for hanging my bag up properly everyday. This was swiftly followed the next year for a participation award at the North Richmond Public School Walkathon. As for who I am wearing this evening?